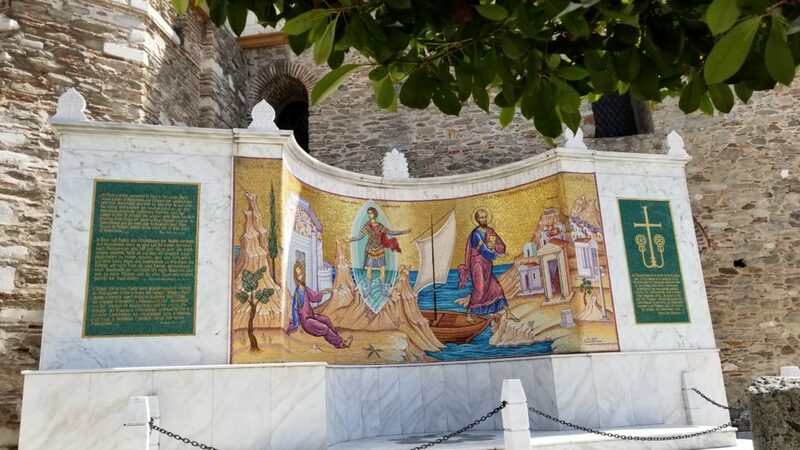 Mosaic depicting the journey of Paul in front of the church of St. Nicholas located in the city of Kavala. The icon of the first baptized Christian named Lydia. Jeanette thinking of her daughter who she named in honour of this Biblical woman. 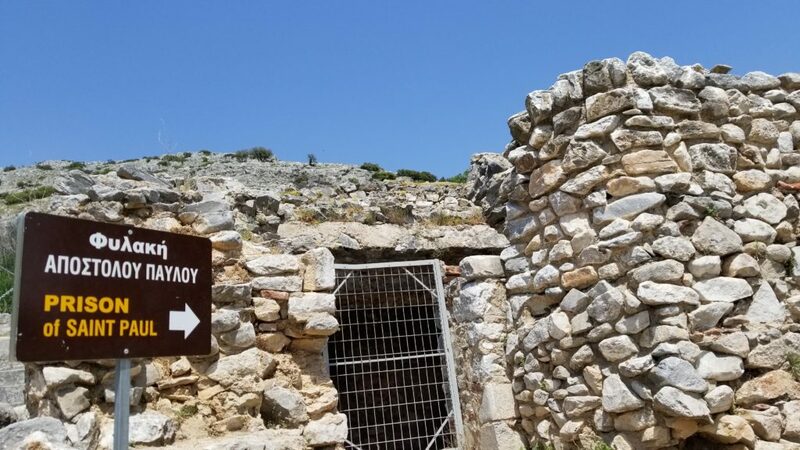 Found in the ancient city of Philippi.